I live out in the ‘burbs so typically restaurants in the immediate area are either few and far between, or primarily chains. So, whenever a small, family-run shop opens up nearby, I get really excited! That’s how I felt about the new-ish Grain of Rice, located at 1312 Webber Greens Drive. It’s basically on the very west end of the city, west of the Anthony Henday, and north of the Whitemud near 215 Street (a.k.a. Winterburn Road). Nearby suburban neighbourhoods you may recognize: Lewis Estates or The Hamptons. It’s a small shop located in a strip mall, that was pretty busy both nights. The first time I tried Grain of Rice, I was with my parents and Mike. The second time, with my friend Breanna. Both times I had a great meal and great service. 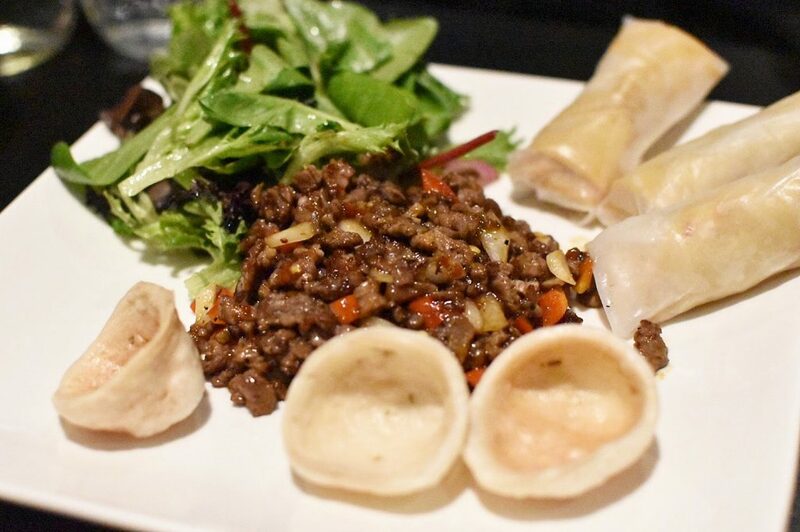 The Firecracker at Grain of Rice – spring rolls wrapped in rice paper with green salad and house-made apple honey vinaigrette, beef cube dip and spicy shrimp crackers ($15). 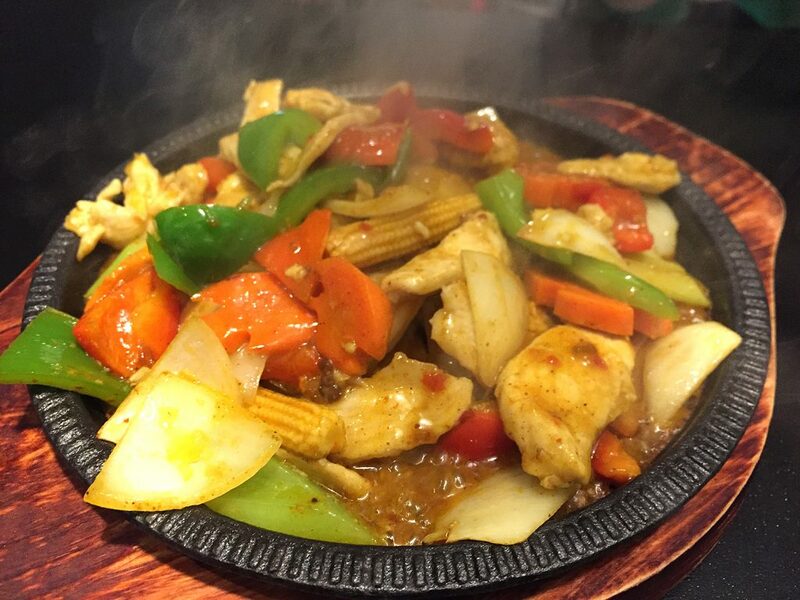 Sometimes when you’re talking about a Chinese restaurant, it’s easy to just shrug it off as, well – it’s Chinese food. ¯\_(ツ)_/¯ But no, some Chinese food is far greasier than it should be, some Chinese food doesn’t taste good – it just satisfies your craving (maybe). I do feel that Grain of Rice is creating some really damn good Chinese food. Flavourful, colourful, well-plated, plentiful and comes out pretty damn quick. Even my parents were impressed. (I like to use that as a general meter of goodness because they are the type to complain a lot at restaurants). 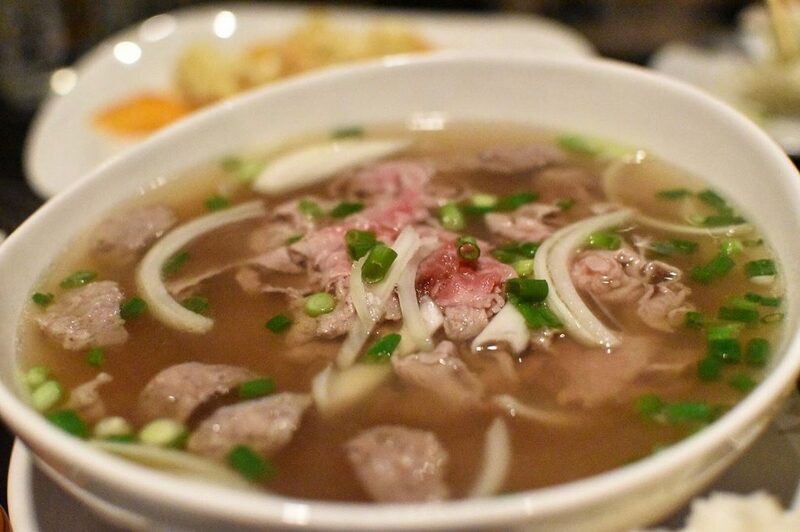 The only thing I didn’t really enjoy was the pho, but I am a bit pickier when it comes to pho. It just felt bland. They have since said they’ve been adjusting their pho recipe and I haven’t tried it since those adjustments so I’m definitely open to giving it a try again but wonder if I’ll get to it when the other dishes have become must-orders! The price points at Grain of Rice are a bit high, but the portion sizes are quite large and all of the mains come with complimentary Jasmine rice (of which I get at least two bowls of lol). It’s also really good and remember, you’re not paying tip either. 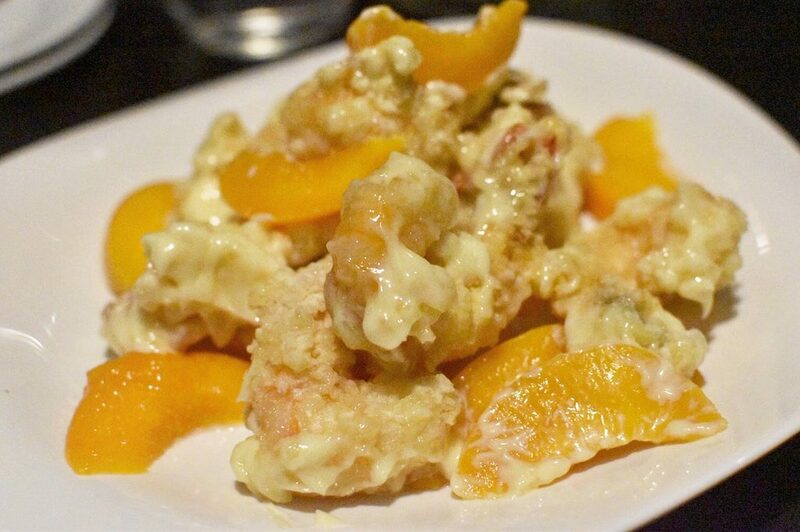 Locally-sourced ingredients wherever possible at Grain of Rice. 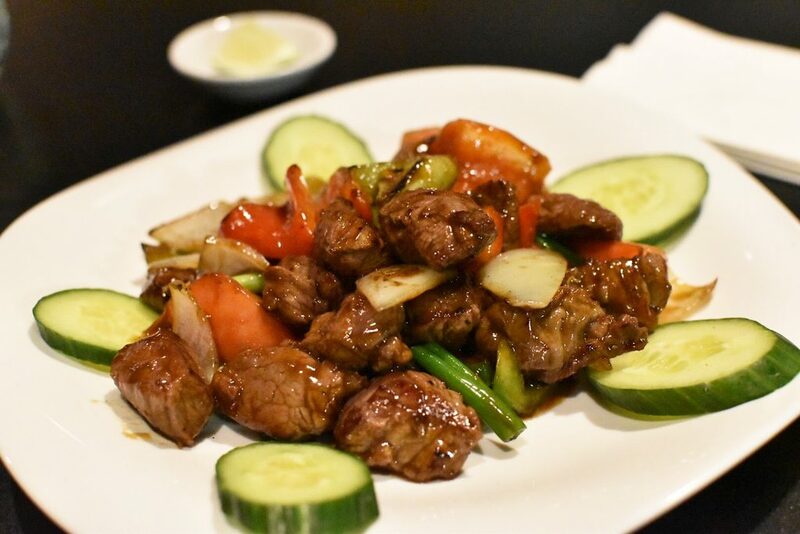 Aside from really flavourful food that comes out fresh and fast, something that sets Grain of Rice apart from most other Asian restaurants in the city is its support of sourcing local ingredients. 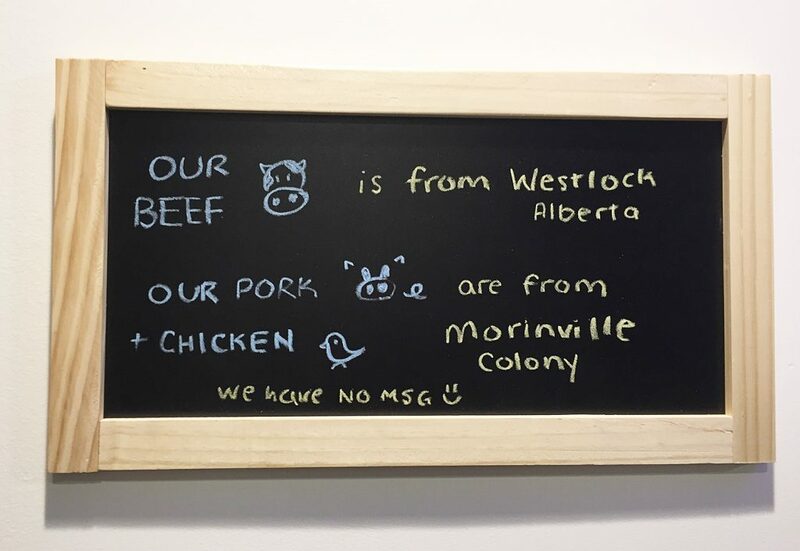 Their beef is from Westlock, their pork and chicken is from a Morinville colony, and they advertise that right away as soon as you walk in. 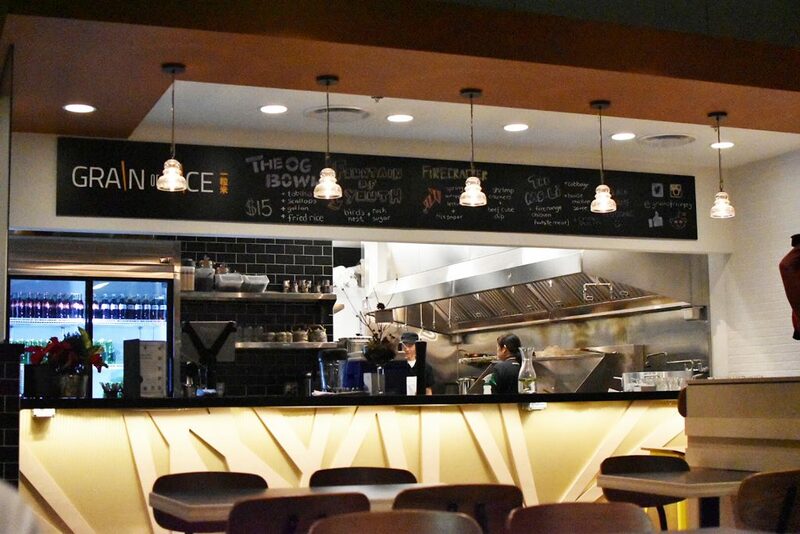 They also have an open kitchen you can look into to see the chefs cooking up your food. I’ve really enjoyed seeing their social media evolve since they opened up as well. In fact, their activity on social media was one of the reasons that led me to try them (aside from them being close by in the ‘burbs!). 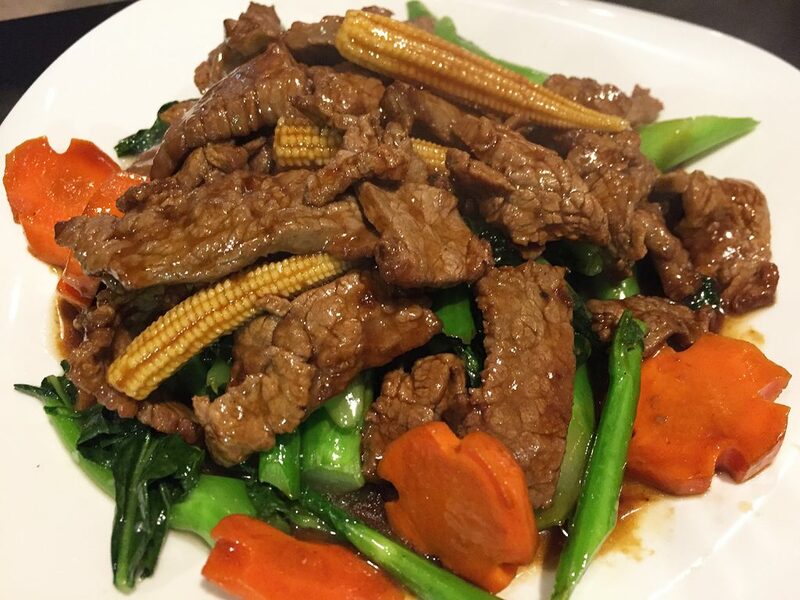 If you haven’t tried Grain of Rice, I’d recommend it! If you’re not already living in the west end, it can feel like a bit of trek out – and you’d really be driving out just for it because there’s not a whole lot in the area (yet!) but it’s really not that far, and totally accessible via Anthony Henday Drive, Whitemud, Yellowhead and Stony Plain Road. As I do with most new restaurants that start out, I really, really hope they succeed! This industry is so hard, and this economy is brutal, but if I know one thing for sure – it’s that Albertans love to eat out. Though it seemed busy both times I went, when we got to talking to Tony he said it hasn’t been as busy outside of the major lunch and dinner rush, which I hope changes. Once the suburban neighbourhood catches onto the fact that they’re there too, it’ll likely get busier. Tony and his family seem so passionate, have a great restaurant concept and are delivering really good food. I’m also always happy to support local restaurants that are choosing to open up in the suburbs – we want great restaurants out here too, guys! 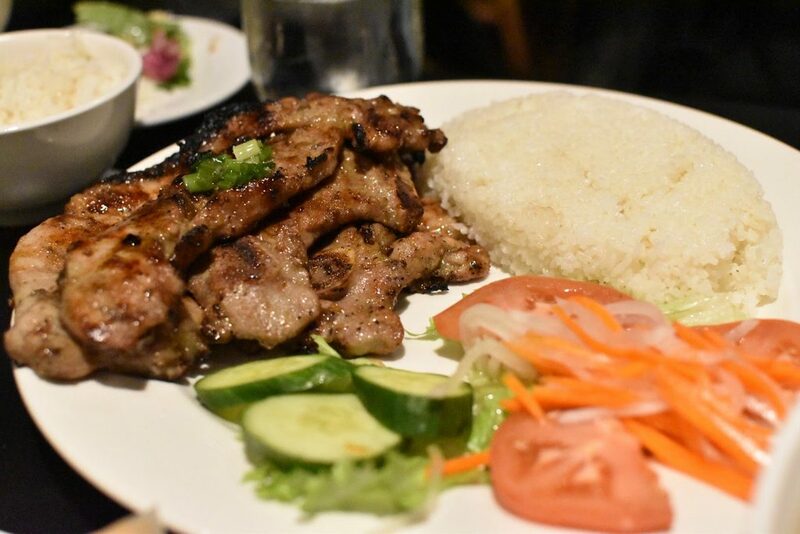 So have you been to Grain of Rice?! What did you think?